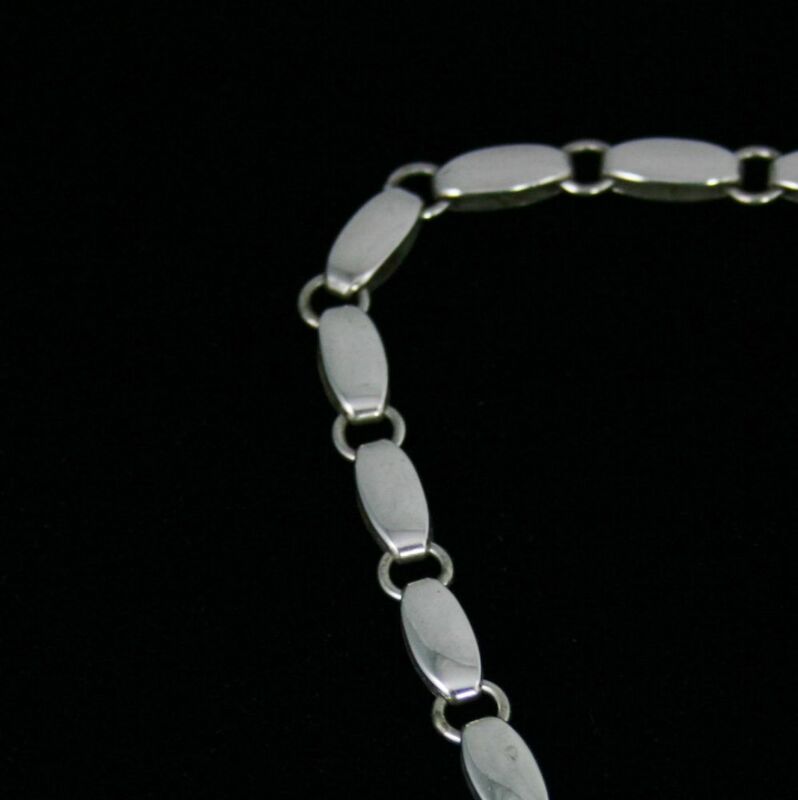 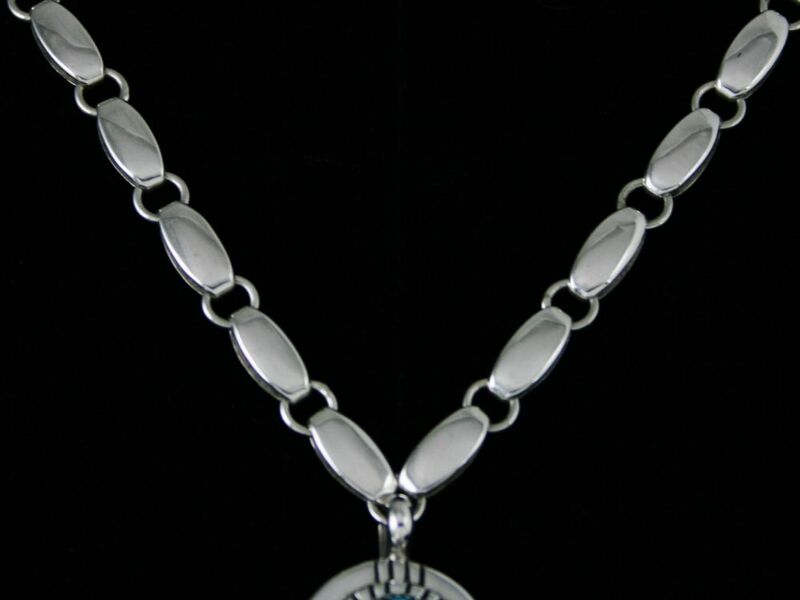 This great masterpiece necklace was created by Julian and his wife Marie in the 1980s. 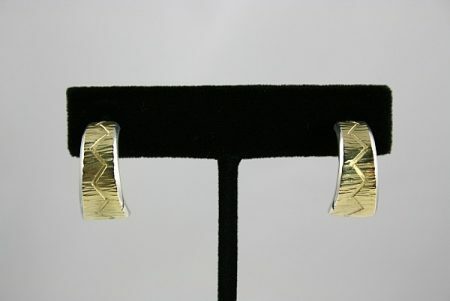 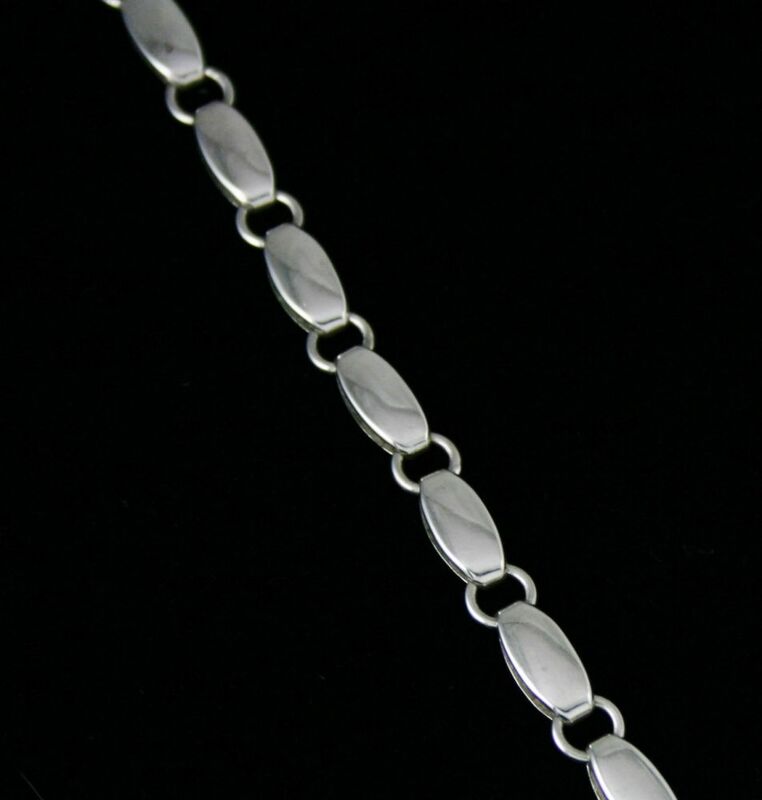 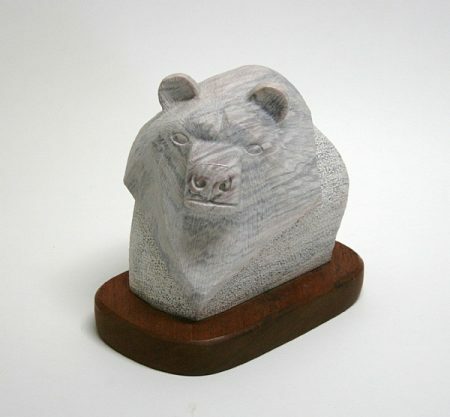 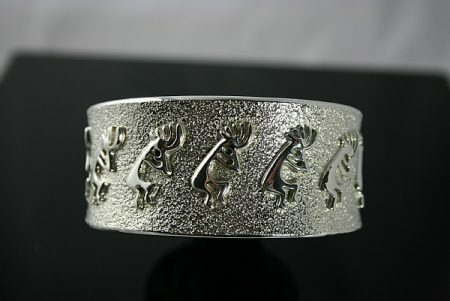 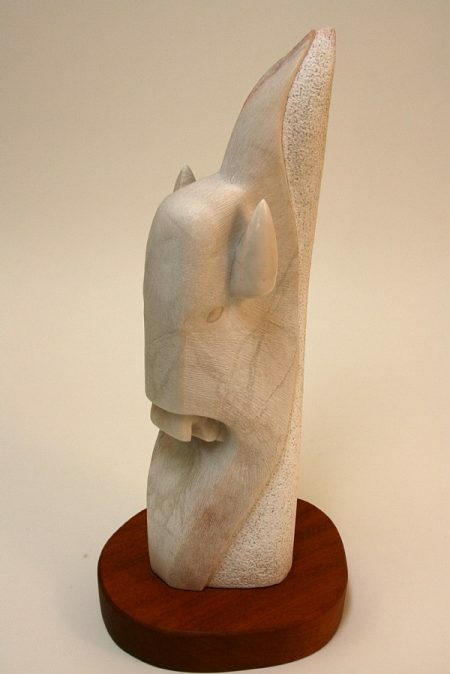 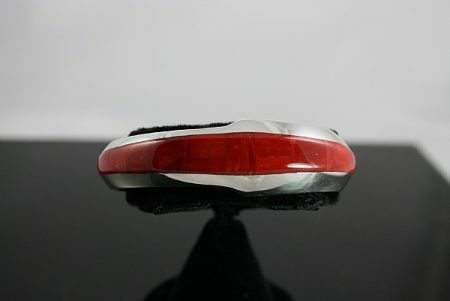 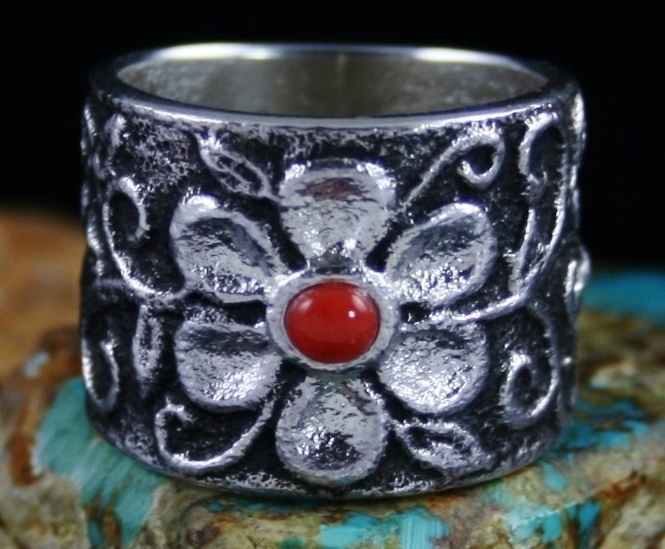 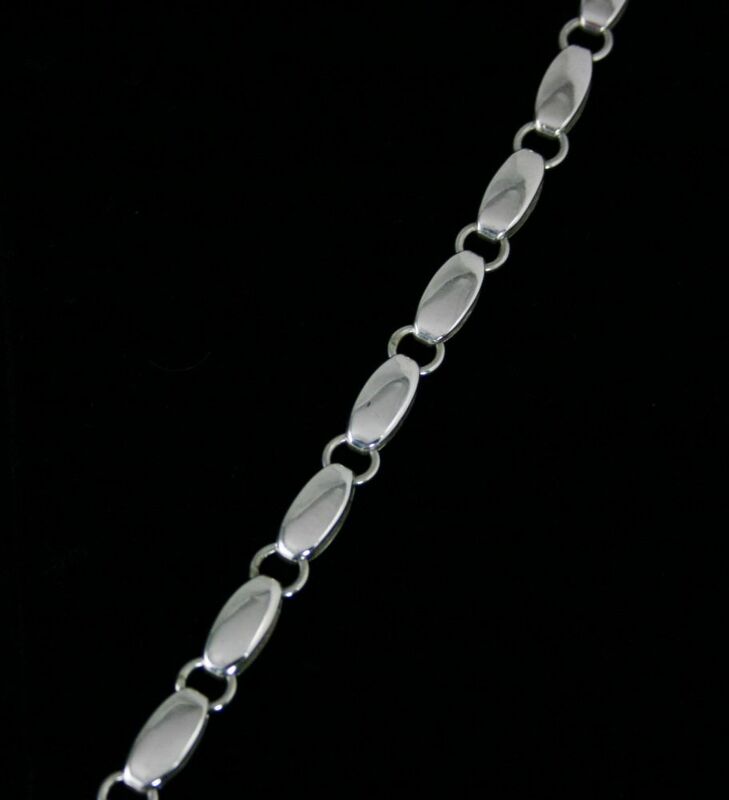 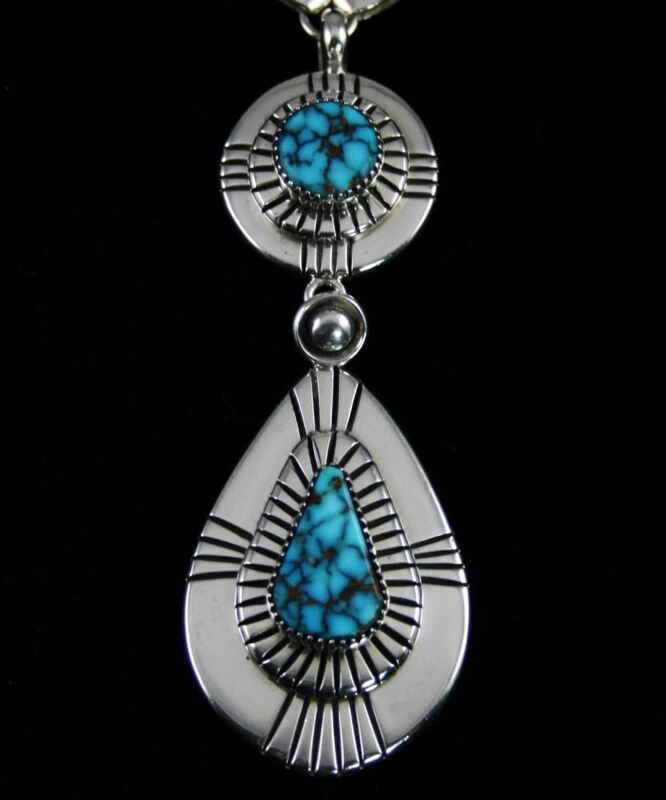 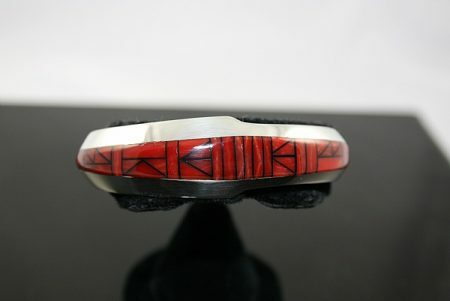 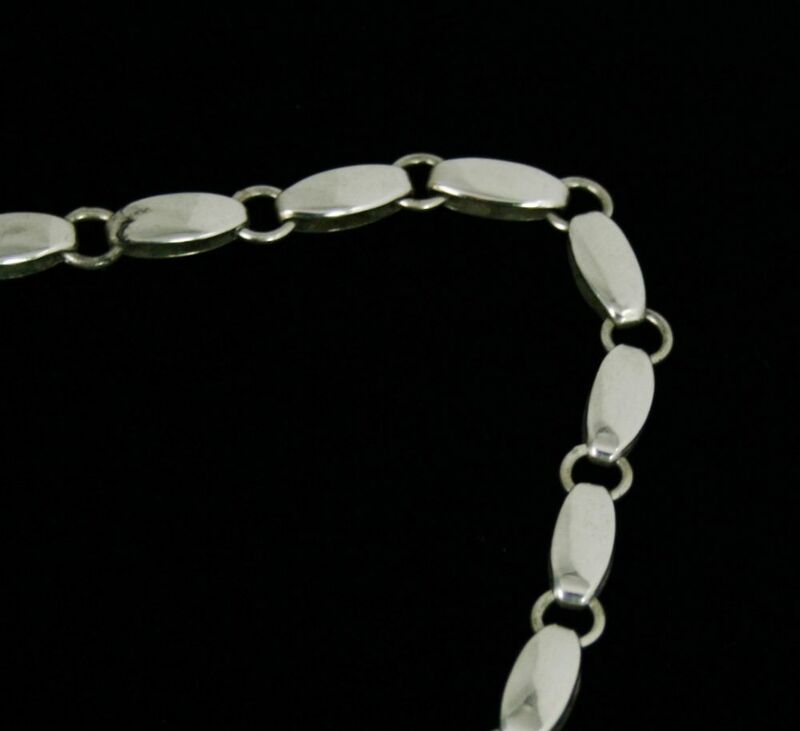 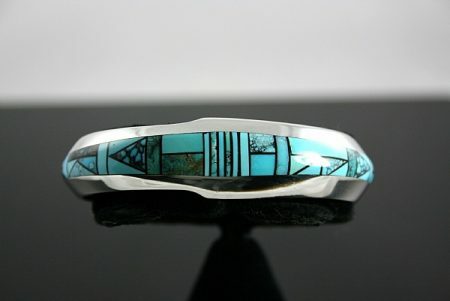 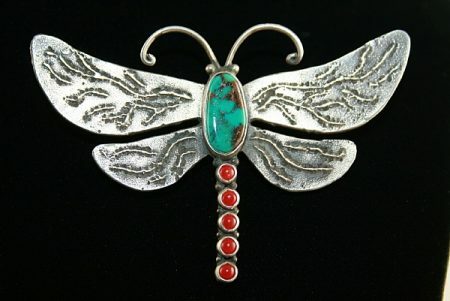 The brilliance and quality of the piece is a testimony to one of the founders of modern Native American jewelry. 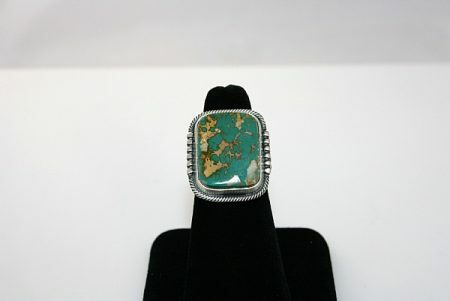 He has selected two rare and exceptional gem grade turquoise specimens from the Red Mountain mine found in north central Nevada. 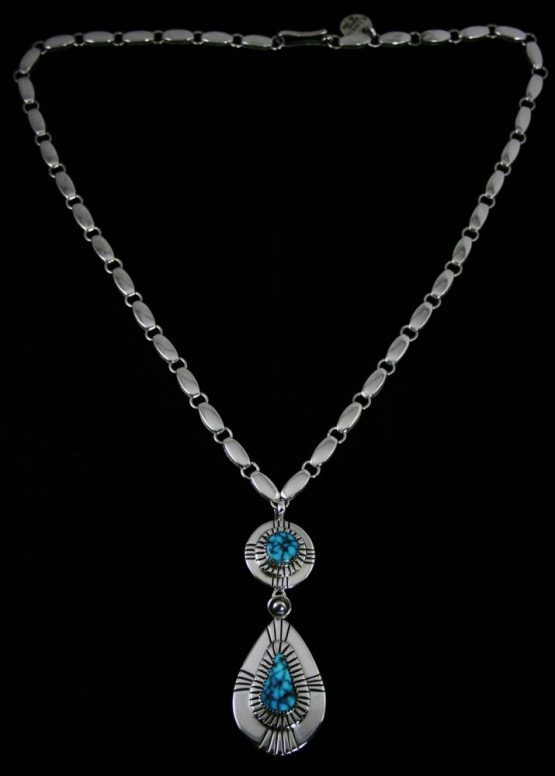 The natural specimens exhibit tremendous depth and beauty and are deep electric blue with vibrant reddish-brown spiderweb matrix. 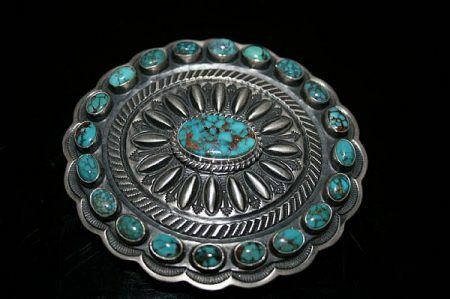 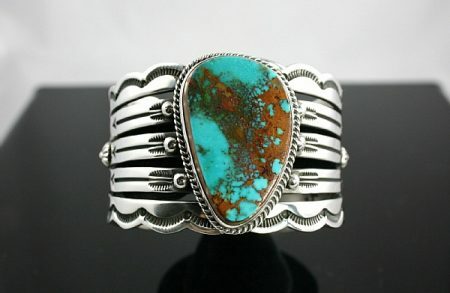 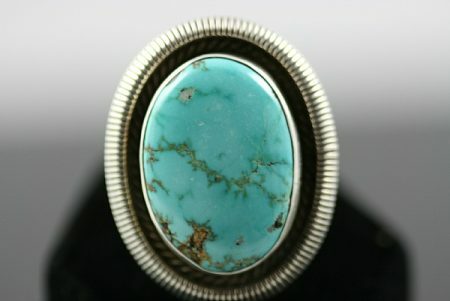 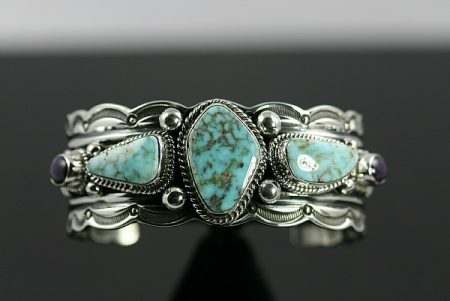 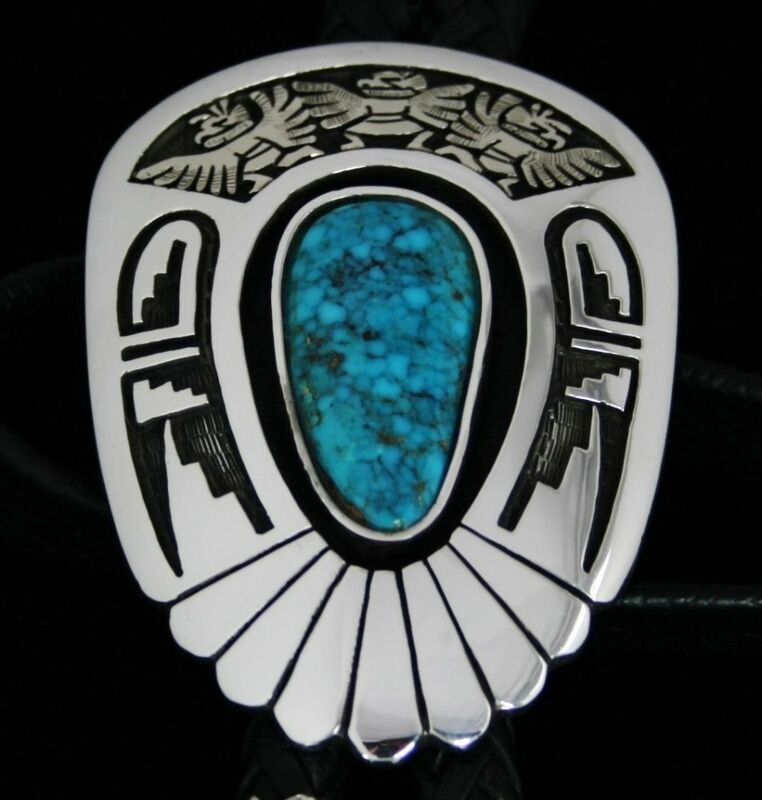 Examples of this quality from the mine are virtually nonexistent and considered to be among the most valuable and collectible in the turquoise world. The cabochons are set in hand chiseled bezels atop elegantly stamped over laid pendant faces. 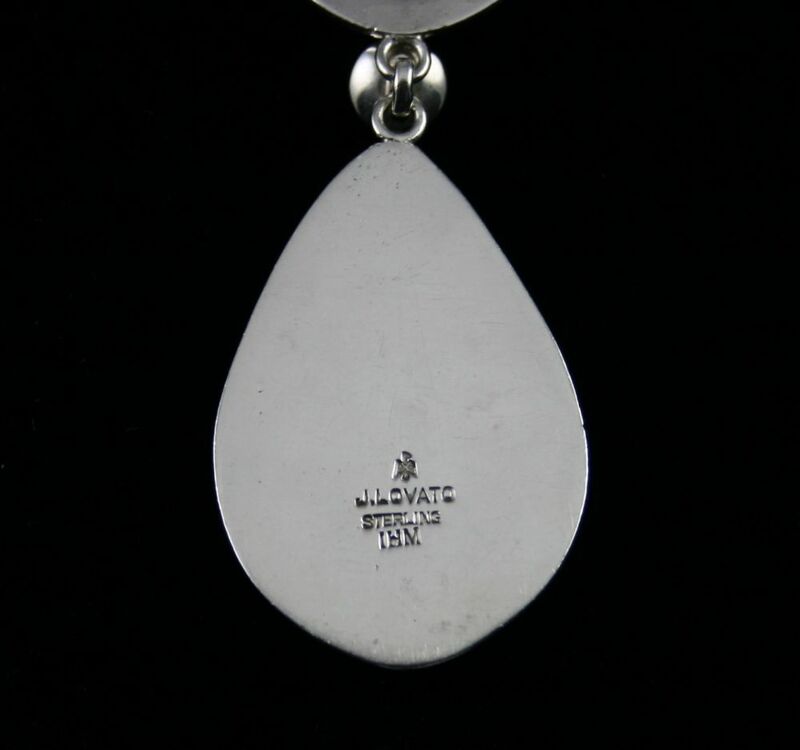 The double pendant is attached with an unusual droplet shaped link. 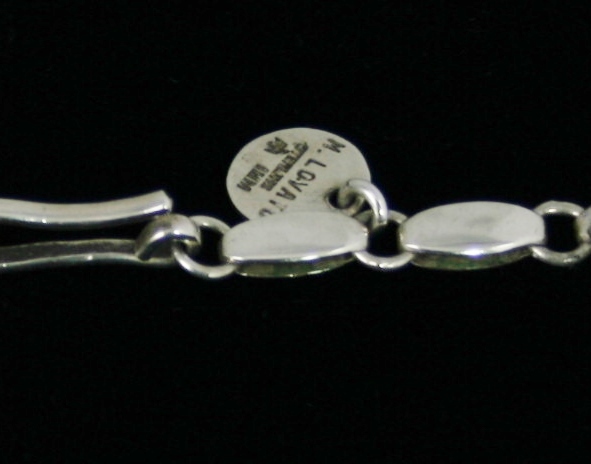 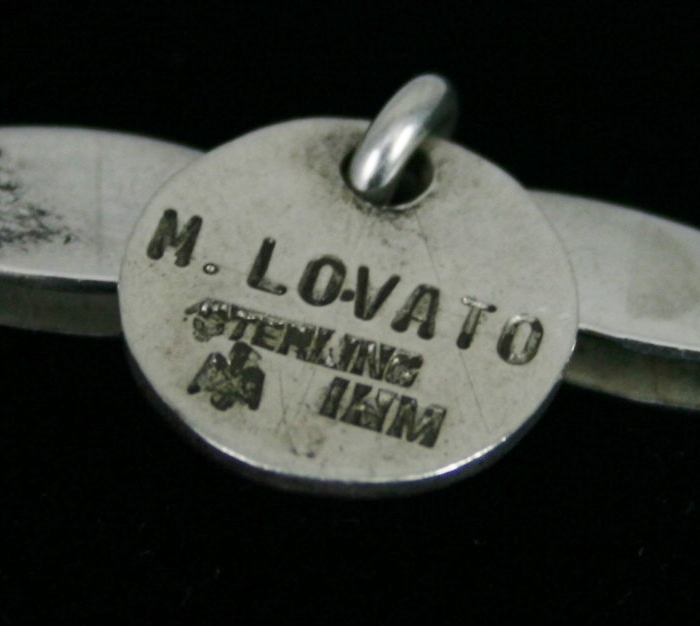 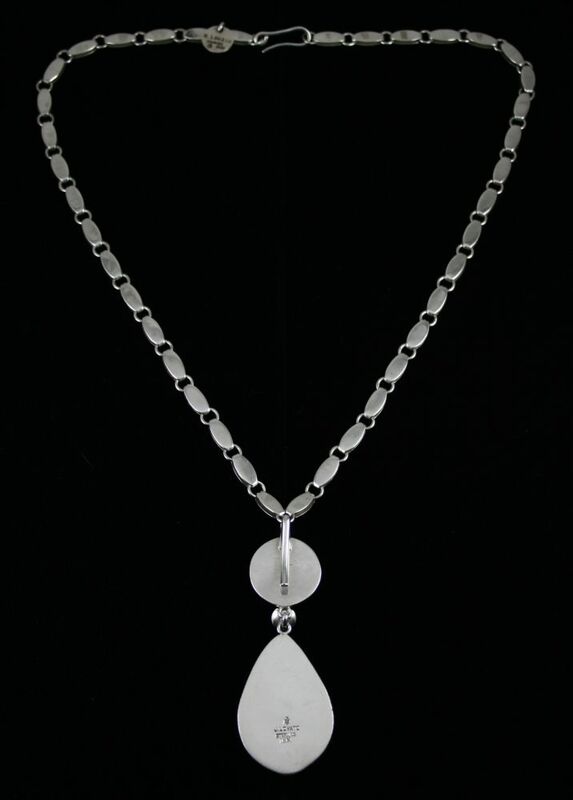 The pendant sits on a hand made chain of the finest quality created and signed separately by Marie. 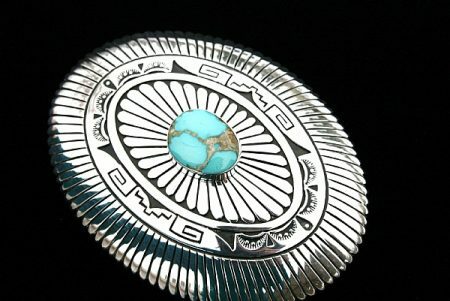 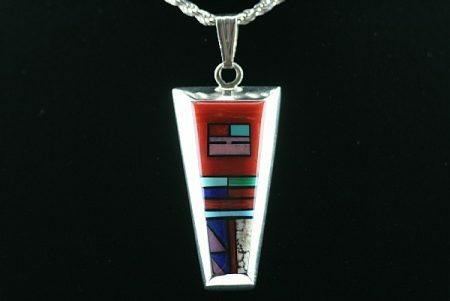 The finished necklace is treasure from one of the greatest Native artist teams of the past century.